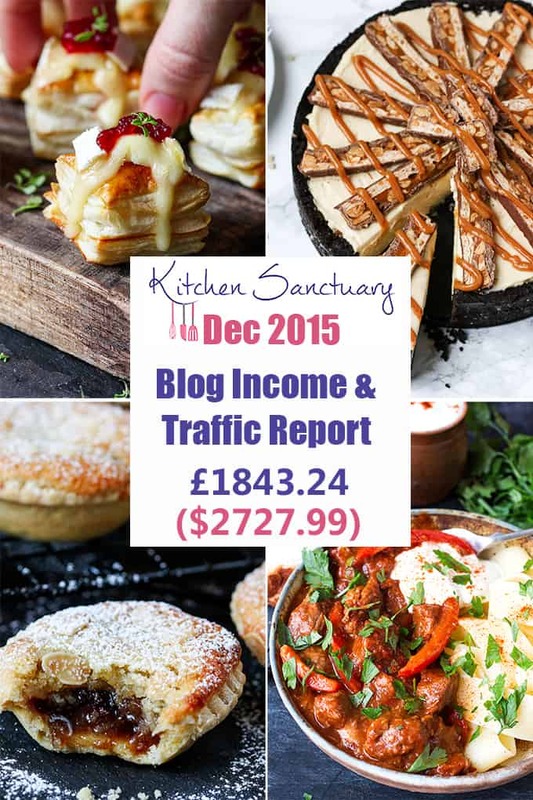 We have moved our income reports to our new site for blogging resources LivingTheBlog. If you have not been redirected please click here to take you to the Dec 2015 income report. Phew, Christmas is over, the kids have managed to make their way through their own weight in sweets, chocolate and cake, and yet i’m the one who seems to have gained at least 5lbs. So unfair. I hope all of you had a fabulous festive season, and if you’re anything like me, you’re already looking at holiday brochures and thinking about January fitness plans (whilst finishing off that tube of smarties). December was a really busy month for me, and I found it so difficult to start feeling Christmassy! My plan was to work like crazy until the 18th of December, and then take a step back and stick to no more than an hour of work a day over Xmas. Of course it didn’t really work out like that, and I found I was still working pretty hard up until about the 22nd of December. By that time I was ready to flake out, so I took a full week off and chilled out with my family (and possibly with some wine and ferrero rochers too….). 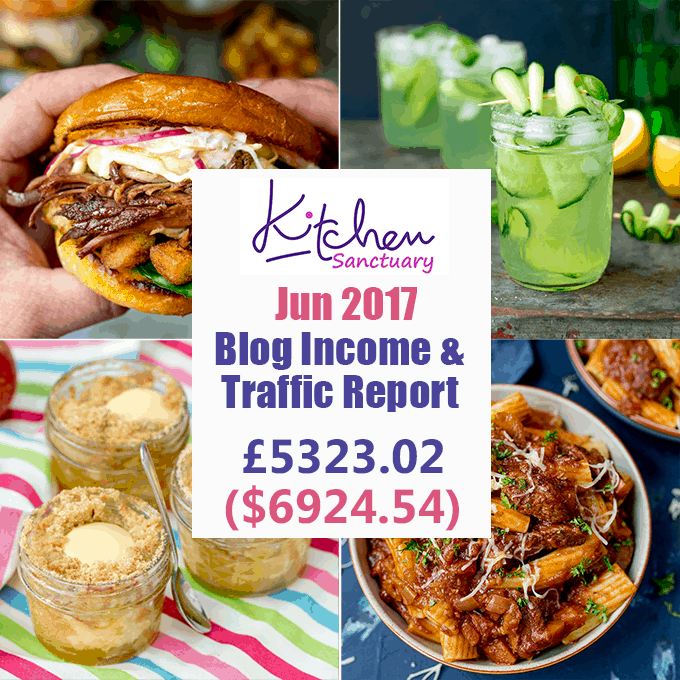 I’ve still got another day to go until the kids are back at school but I’m slowly getting back into the swing of things, and I thought now would be great time to take a look at my monthly income report! It’s my third one so far – check out one and two here. 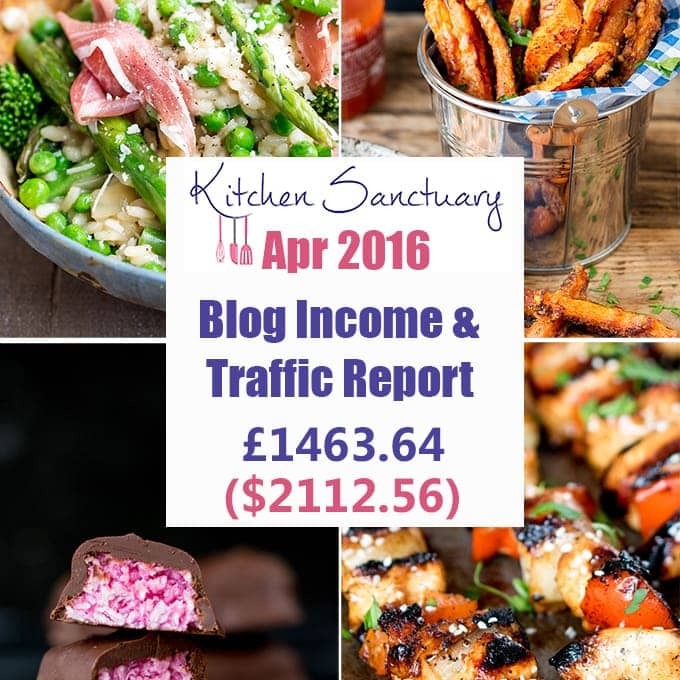 I started Kitchen Sanctuary almost two years ago whilst I was still working full-time in the IT world. My husband Chris also works in IT, and we were starting to find it difficult to juggle work and family life. The kids were at breakfast club and after-school clubs, I was finding it difficult to get us all around the table at the same time for dinner (which is something I feel very strongly about), and come the weekends, we just wanted to sit on the sofa and not move! When the chance for voluntary redundancy came up at work, I saw it as an opportunity to make some changes. So I put my name forward, and left the company 6 months later. Of course before I even left, I knew that I’d still need to be earning money, but I’d also need something flexible to work around the children. I’d been toying with the idea of food blogging – as I’ve always loved cooking and baking – so I started Kitchen Sanctuary. Initially it was a bit of fun, but with the hope in the back of my mind that eventually I’d be able to turn my passion into my job. 16 months ago I started testing the water by including a little bit of advertising on the site (I made £25.14 that month!) and since then I’ve just tried to build Kitchen Sanctuary and also a freelance career (using Kitchen Sanctuary as a kind of CV) in recipe writing and photography. Fast forward to today, and I’m actually starting to believe that this food thing might work!! I really hope this post gives you some insight and ideas if you’re new to blogging and monetization. Also check out my How to Start a Food Blog post if you are thinking about giving this blogging thing a go too! December has been my busiest month ever but I’m really happy that the work I’ve put in is reflected in my overall income for the month. 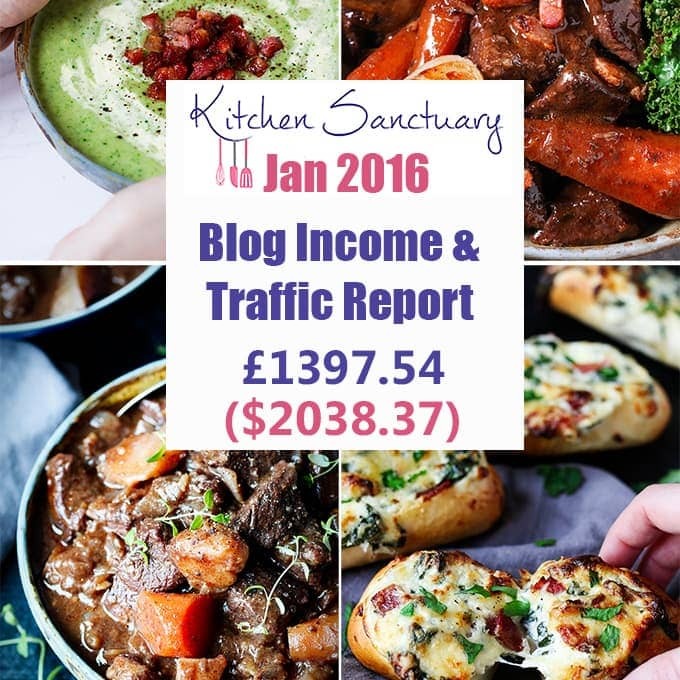 I’m expecting a drop in income for January – as some of the freelance work I’ve been doing has reduced now Christmas is over, but hopefully that will free up some time to concentrate on a few Kitchen Sanctuary improvements and also some training. Note – there are some links in this post that are affiliate links – which means that if you click on them and then sign up to the service/product I’ll get a small commission (at no extra cost to you of course). If you do click through then thanks! I managed to get over the 100k mark again yay! 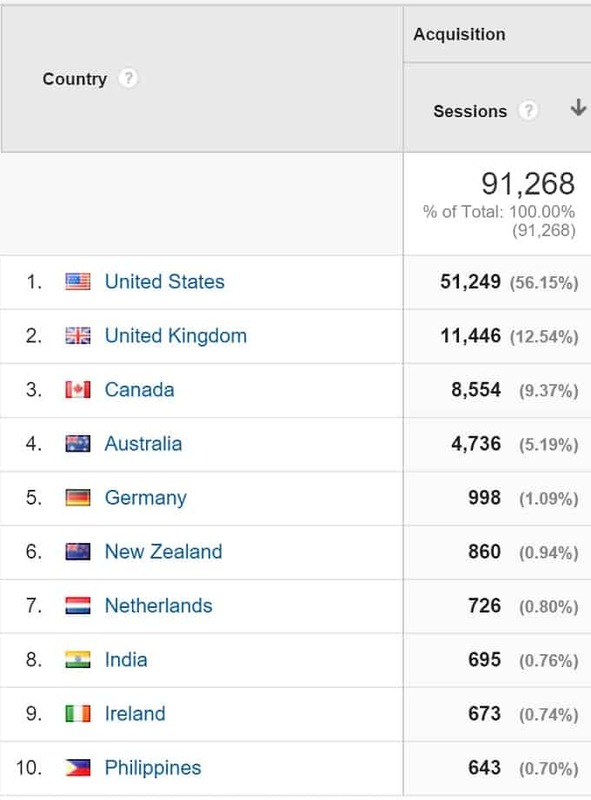 It looks like my google search traffic has increased by quite a significant 5% from the previous month. I changed hosting providers in November – moving to SiteGround. Since then my page load speed has vastly improved. I believe google takes site speed into account in search rankings, so I’m wondering whether the move to SiteGround has helped me to get more traffic overall. I’m loving SiteGround since I moved to them as hosting providers in November. Before I moved, I was having a few issues with my site crashing, and also taking ages to load. Since then I haven’t had any downtime (touch wood), and my site is so much faster. As I mentioned above, I think this improvement in site speed might also have helped my google search rankings, as my search traffic increased by 5% in December. I managed to be a little more consistent with Pinterest pinning over the course of December. I ended up with nearly 4,000 more views from Pinterest in December compared to November (plus almost 200 new Pinterest followers). I guess part of this will be due to everyone looking for Christmas recipes, but I think better use of the scheduling tool I use (Tailwind) also helped. I’ve started to notice that a fair amount my older content is continuing to bring in some good traffic. 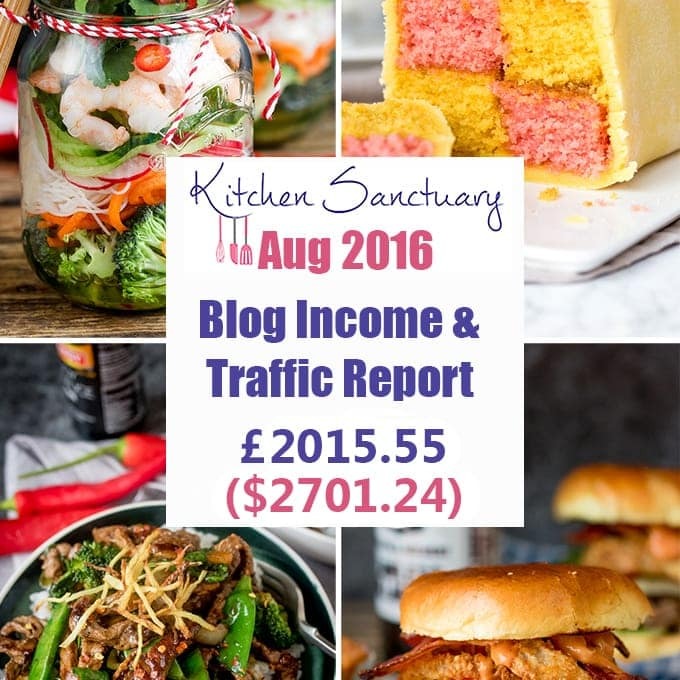 I’ve got over 280 posts on Kitchen Sanctuary now, and I’m finding that with the help of some re-pinning of this older content, plus a bit of sharing in a couple of Facebook groups I’m part of, the older content is really doing well. In fact looking at my top 10 performing pages for the month, only one of them was actually posted during December. So, it’s worth keeping in mind that if a post doesn’t do great in the first week or two after posting and you think it’s a really good post, then be sure to keep promoting it! My Chewy Amaretti cookies for example got 1522 views in the first month they were up – yet 10 months later they got 12,365 views in a month. That’s all for this month folks. Let me know via email or in the comments if there’s anything in particular you’d like me to go over next month. Awesome income report. Im glad I found you. I have been keeping track of all the bloggers who track monthly income reports so I have officially added you to The Ultimate List of Blogger Incomes! Yay! Great job Nicky, congrats on getting over 100k again! 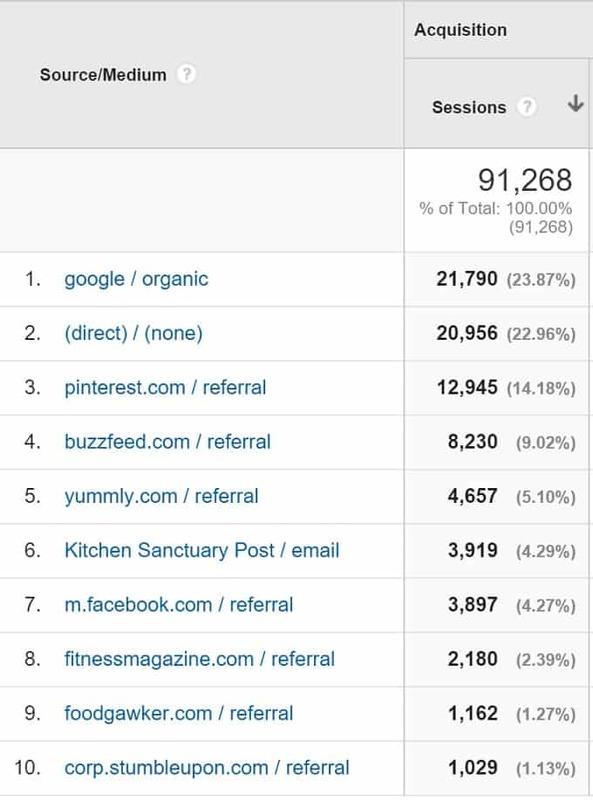 Also, good insights into your older posts. Thanks for sharing, Nicky. I just started the process of switching to Siteground so I hope it makes my site faster too. I’d be interested to hear more about your freelance work – how you started, what kind of projects you do, and if you felt you had the confidence before you took on your first jobs. a) Looking around at popular websites that appeared to accept the occasional guest posts – then emailing them to ask if I could write a guest post for them (no payment), this is a great way to build up relationships and practice guest posting, and can often lead to a discussion on paid posts. b) Looking at larger websites I may have been featured in as part of round-up posts, then emailing them asking if they have any contributor positions (this is a good method because you have a level of confidence that they already like your work). 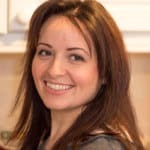 For this I’d include a few links to some of my work, and also mention that one or more of my recipes have been featured on their site already.